Multi-million dollar contract, joint venture and lease disputes. All varieties of employment-related claims. Equitable causes of actions, including injunctions. He is a former chair of the Illinois State Bar Association Section on Civil Procedure and is a member of the Chicago Bar Association Commercial Litigation Committee. He has been listed as a Leading Lawyer in Commercial Litigation for over 10 years. In the 2014 Leading Lawyers, he was listed as the second most often recommended lawyer in the state in Civil Appellate Law and the sixth most often recommended lawyer in the state in ADR Law: Commercial Neutrals. Tim has handled hundreds of appeals before the Illinois Supreme Court, Seventh Circuit Court of Appeals and the Appellate Court of Illinois. He is a Fellow of the American Academy of Appellate Lawyers, a past-president of the Appellate Lawyers Association, a former editor-in-chief of the Appellate Lawyers Law Review and a past chair of the ABA TIPS Committee on Appellate Practice. He also recently served on the ABA Amicus Briefs Committee. In addition, Tim co-authored a book on civil appellate practice. He was named a 7th Circuit Litigation Star in the 2012 Benchmark Appellate Lawyers publication and was named Best Lawyers’ 2010 Chicago Appellate Lawyer of the Year. 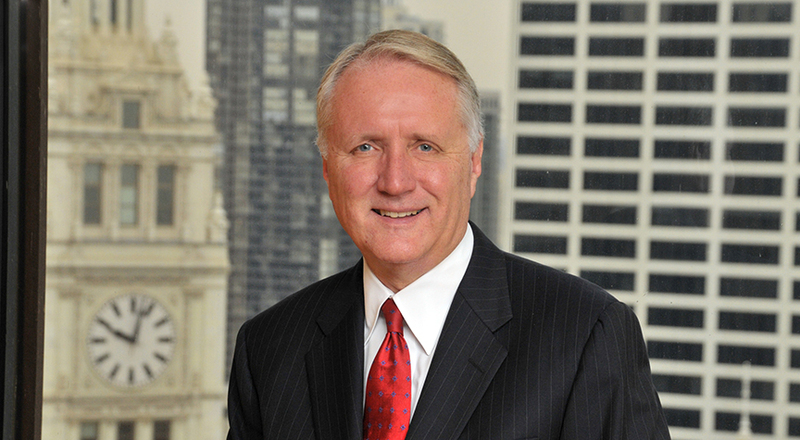 He has also been named to the Illinois Super Lawyers list every year since 2005. Tim has authored more than 60 law review articles and bar publications focusing on commercial litigation, appellate and arbitration issues. He is a frequent lecturer on appellate and arbitration practice. Tim is also an active arbitrator for the American Arbitration Association and is on the Panel of Distinguished Neutrals for the International Institute for Conflict Prevention and Dispute Resolution. 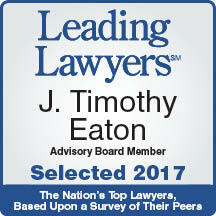 He is a Fellow of the College of Commercial Arbitrators and a member of the National Academy of Distinguished Neutrals. He has served as sole arbitrator, panel arbitrator and panel chair in over 90 arbitration cases involving appeals from arbitration, contract disputes, insurance coverage, franchise agreements, securities, joint ventures, utility agreements, attorneys' fees, banking, employment law, law firm disputes, products liability, employment agreements, severance agreements, warranties, coal supply agreements, interpretation of by-laws, covenants not to compete, partnership agreements, distribution agreements, and vendor disputes. He has the following arbitration training: Arbitrator Performance and Demeanor ~ Meeting Participant Expectations, 2018; Faculty, Expert Witness Workshop on Damages in Arbitrations, American Institute of Certified Public Accountants, 2018; Faculty, Motion Practice Under AAA Rules, 2017; Faculty, AAA The Nuts and Bolts of an Arbitration Hearing: Procedure Evidence and Practicalities, 2016; AAA eDiscovery - Arbitration in a Digital World (ACE012), 2016; AAA/ICDR/Mediation.org Panel Conference, 2016; AAA Dispositive Motions in Arbitration: Best Practices for Advocates & Arbitrators, 2016; AAA Panel Dynamics - Staying On Course When Things Don't Go As Planned, 2015; AAA Arbitrator Subpoenas: Are They Worth the Paper They're Printed On?, 2015; Faculty, AAA Imposing Sanctions in Arbitration: Just How Far Can You Go?, 2015; AAA An Arbitrator's Guide to Successfully Resolving e-Discovery Disputes, 2015; Faculty, AAA, Imposing Sanctions in Arbitration: Just How Far Can You Go?, 2015; AAA It's Not Just "Litigation Lite"-Making Rulings on Evidentiary Objections, 2015; Faculty, AAA Motion Practice in Arbitration: Worthwhile or an Expensive Distraction?, 2014; Co-Presenter, AAA Webinar, Writing Arbitration Awards - A Guide for Arbitrators, 2014; AAA Introducing New Commercial Rules, 2014; CBA Program, Arbitration: A Detailed Guide, 2013; ABA Litigation Section ADR Committee, Dealing with Attorneys Who Don't Play Well in the Sandbox: Identifying Tactics Intended to Derail Your Arbitration and How Best to Thwart Them, 2013; AAA Developments In Arbitration Law: Disclosure, Vacatur, Sanctions, and Arbitrator Authority, 2013; AAA Managing the Arbitration Process for Efficiency & Economy Following the Preliminary Hearing, 2012; AAA/ICDR Neutrals Conference, 2012; AAA Maximizing Efficiency & Economy in Arbitration: Challenges at the Preliminary Hearing, 2011; AAA Webinar, Ethics 101: Mediators, Arbitrators, Attorneys, 2011; CPR Advanced Arbitration Training, 2011; CPR Institute Regional CLE Series: Chicago, Topics in Mediation and Arbitration, 2011; AAA Pro Se: Managing Cases Involving Self-Represented Parties (ACE002), 2010; CPR Advanced Arbitrator Training, How to Conduct Efficient Hearings and Avoid Common Pitfalls, 2009; AAA Webinar, Electronic Discovery in Arbitration: What you Need to Know, 2009; AAA Arbitrator Ethics & Disclosure (ACE003), 2009; AAA Chairing an Arbitration Panel: Managing Procedures, Process & Dynamics (ACE005), 2009; AAA Arbitration Awards: Safeguarding, Deciding & Writing Awards (ACE001), 2009; AAA/ICDR Neutrals Conference, 2009; AAA Arbitration Roadmap: The Standard for Efficient and Cost Effective Arbitration, 2008. A Fortune 100 company in matters in federal district court in Boston involving the discharge of a $6 million claim in bankruptcy. $40 million claim in the Commercial Division of Cook County arising from claims of a quasi-joint venture in Poland. $250 million breach of contract claim arising from a quasi-joint venture. A multi-million dollar joint venture in a contract dispute before the International Centre for Dispute Resolution. An ESOP in a multi-million dollar ERISA claim in the Northern District of Illinois based upon breaches of fiduciary duties by a former owner and trustee. A securities brokerage firm in claims involving breach of fiduciary duty and tortuous interference with contract. A major investment house in litigation of alleged breaches of trust indenture agreements, contracts, and securities documents.